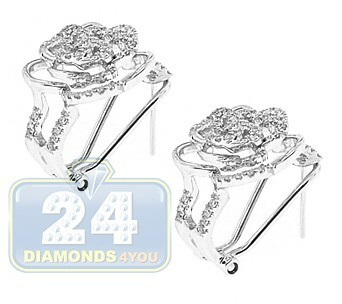 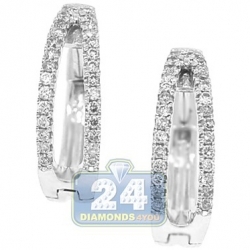 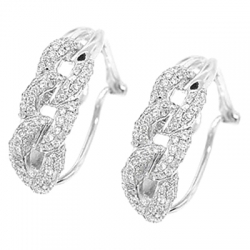 Simple elegance abounds in these gorgeous diamond huggie earrings! 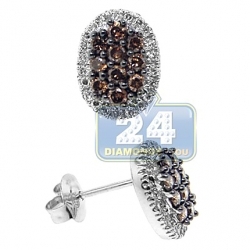 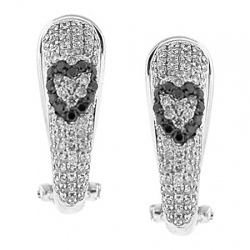 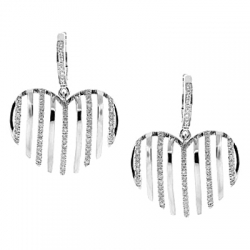 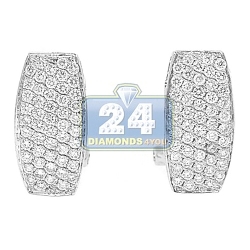 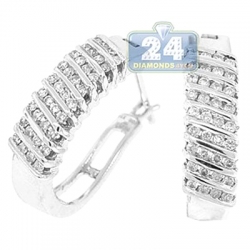 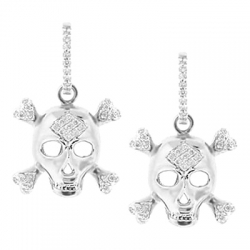 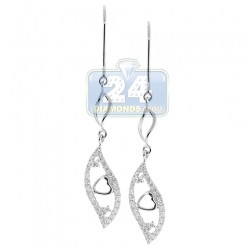 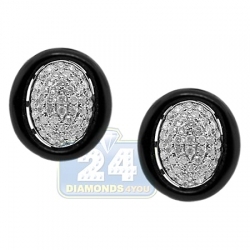 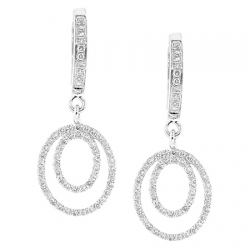 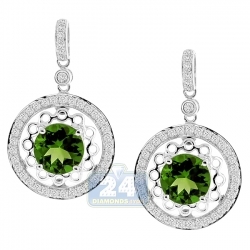 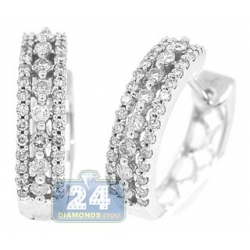 Masterly crafted in lustrous 14k white gold, they feature polished shiny finish. 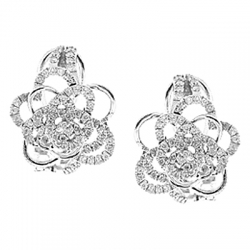 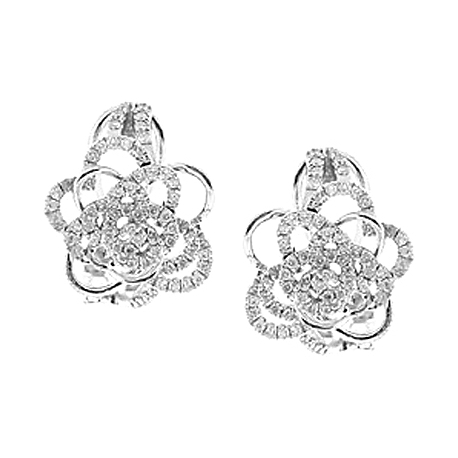 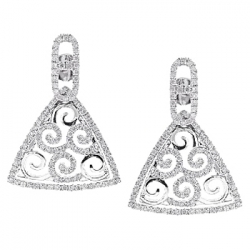 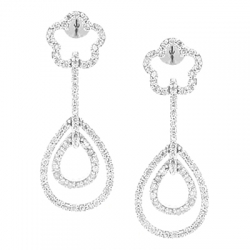 Our women's flower earrings are accented with 0.77 carat of icy white round brilliant-cut real diamonds. 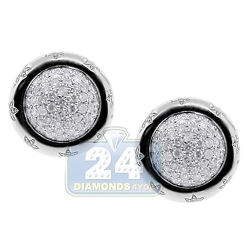 The pair measures 19 x 14 mm, and has comfortable omega backs. 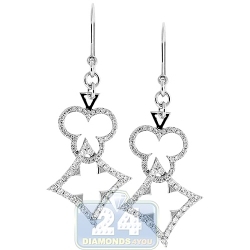 Tremendous piece of jewelry for the next fancy event!